Pike Township is located in the northwest corner of Indianapolis, Indiana. Pike Township residents enjoy a sense of rural living as well as all the amenities of a big city. Downtown Indianapolis is an easy commute from Pike Township, thanks to good access to I465 and I65. Outdoor recreation opportunities abound in Pike Township. Eagle Creek Park, one of the nation's largest municipal parks, is the site park of Eagle Creek Reservoir, a 1300 acre lake with facilities for swimming, boating and fishing. It's also the site of an annual New Year's Day Polar Bear Plunge! Students in Pike Township attend the Metropolitan School District of Pike Township. Private schools within Pike Township include Brebeuf Jesuit Preparatory School. 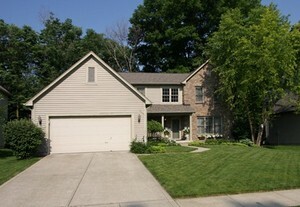 Pike Township homes range from modest homes on the south end to stately custom homes on the township's north end. Many Pike Township neighborhoods are popular with medical and dental students at IUPUI because of their affordablity and easy access to downtown Indy. Listing courtesy of Imperial Realty, Llc.